The seal is formed from a large block of bamboo root suffused with a network of bamboo root nodes naturally pruned at the knop. 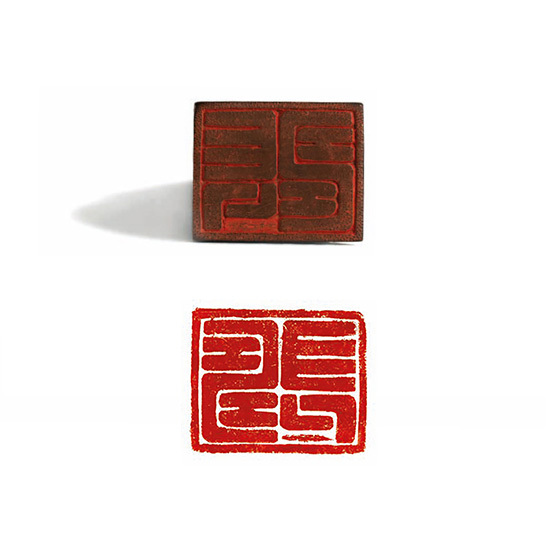 The seal face has two characters Changshou 長壽 (Long Life) carved in relief within a square border. 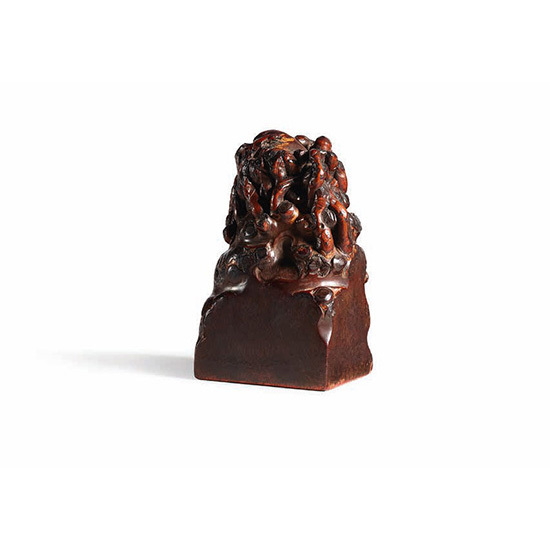 The seal is deeply patinated to a warm chocolate colour.